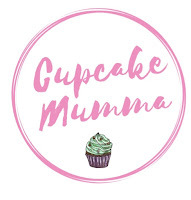 Cupcake Mumma: 13/31 What is your earliest memeroy? 13/31 What is your earliest memeroy? This is an easy one for me. I think I wrote it earlier on in a blog post so apologies to anyone reading it all over again. I grew up on a stud where my Dad was the groom. This stud was home to mostly race horses who were well looked after and taken care of, taken to and fro for their big races and they'd come back again. I loved walking around the stud because you'd be led to lanes under huge trees and massive fields which led to a small lake surrounded by trees. It was beautiful. Anyway, of course this is my earliest memory, I grew up there but one memory stands out in particular and that's a night spent at the stud with my Dad. There was a horse who was due to foal at any time and so Dad and I sat in the office with said horse just next door in her warm and comfy stable. It must have been quite late when Dad told me to come to his desk. I remember jumping up onto his chair and kneeling on the desk which was under a small window (you know like they have in houses where you can slide the door open and shut) and well, I watched this mare give birth to her foal. The really wonderful thing was coming back the next day to see this pretty little foal all unsteady on her legs with her 'mummy'. That's a great moment to look back on. What an amazing and special memory!! Lovely early memories - thanks for sharing.